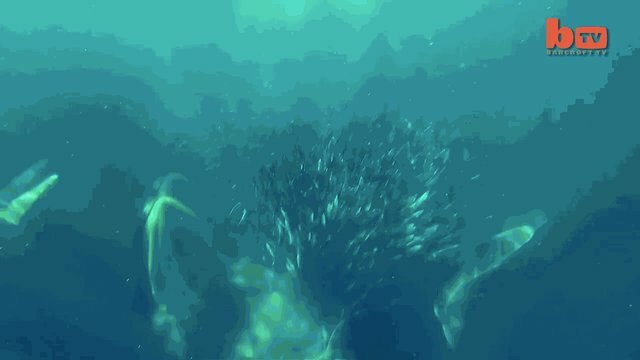 A 49-foot-long Bryde's whale interrupted Rainer Schimpf's scuba dive when the large marine mammal swam, maw agape, toward a school of sardines. "The giant mammal swerved at the last moment to avoid smacking directly into him," according to the YouTube description, "but it still sent him flying as it breached." The Bryde's whale was pursuing a shoal of sardines during the annual sardine run off the coast of South Africa.